Maryland Gov. Larry Hogan said the head of IT for the state's Motor Vehicle Administration is no longer at the agency following a technical error affecting voter registration records ahead of the June 26 primary. WASHINGTON — Maryland Gov. Larry Hogan said the head of IT for the state’s Motor Vehicle Administration is no longer at the agency following a technical error affecting voter registration records ahead of the June 26 primary. At one point last week, officials said the error — which came to light just days before the primary — may have affected some 80,000 voters who tried to change their addresses or party affiliations online or through an MVA kiosk. Affected voters were informed they would have to cast provisional ballots. Asked for details, MVA spokesperson Porlan Cunningham said the department doesn’t comment on personnel matters. Officials have previously said a computer coding error prevented information submitted by voters via MVA kiosks or the MVA’s online store from being transmitted to the Board of Elections. 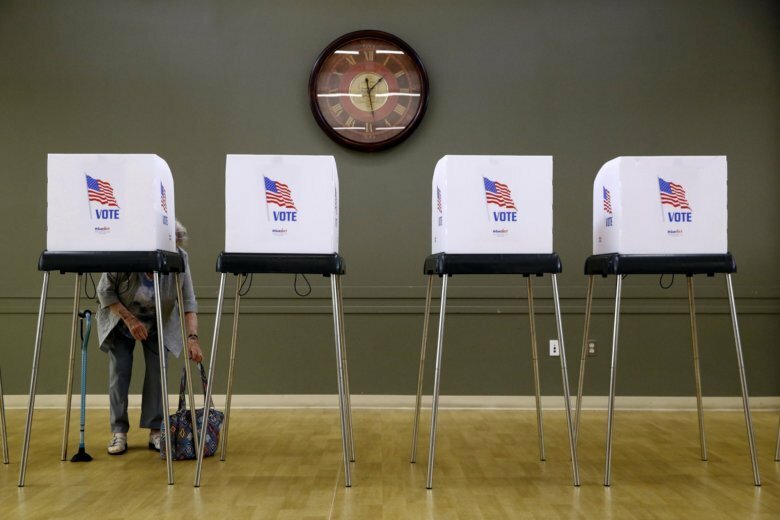 However, it’s still unclear how many of the 80,000 voters potentially affected by the programming error ended up casting provisional ballots last week. Hogan said the latest count from state officials is that, in all, more than 20,000 voters ending up filling out provisional ballots. Hogan also addressed other issues during his interview with WTOP. Maryland’s plan to spend $9 billion to expand portions of the Capital Beltway and Interstate 270 and add toll lanes is moving ahead, Hogan also said. Just last week, the federal government agreed to evaluate transferring part of the Baltimore-Washington Parkway to the state. Another option, according to the agreement, would be to keep the land under federal control but allow state toll operations. Ultimately, federal legislation is required to allow the feds to transfer the land to Maryland. Widening lanes on Interstates 295, 495 and 270 “is something that people have been talking about — getting out of that traffic congestion — for 20, 30 years and we’re finally trying to move forward with a plan that might work,” Hogan said. Under the plan, a private company would be tasked with designing, building, operating and maintaining the new lanes. Hogan said a request-for-proposals would be likely be issued in the coming months. Hogan also reacted to news that President Donald Trump had approved a disaster declaration sought by Hogan allowing federal aid to flow into flood-stricken Ellicott City. Officials estimated the second devastating flood in fewer than two years caused more than $22 million in infrastructure damage. Hogan said he was pleased the White House approved the request. Hogan pointed to the historic legacy of the town and said businesses that have the resiliency and ability to rebuild should be able to. But Hogan said some businesses in the flood-damaged area of Main Street will have to decide whether they return and open up shop again. “Maybe the county or someone should buy those properties and turn them into flood mitigation and not let them rebuild,” Hogan said.